NATIONAL Capital District Governor Powes Parkop says work on the Sir Hubert Murray stadium is expected to be completed this year. “By mid-year, all the stands will be installed, followed by the partitions,” he said. Parkop said redevelopment work on the stadium costing K40million began early last year after it had been suspended for a while because of funding issues. Parkop said a management company would be engaged to manage the stadium. “It will raise revenue but heavily subsidised by NCDC (to) enable communities and stakeholders in the city to use it as much as possible,” he said. 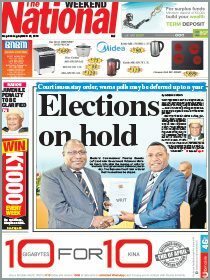 Parkop said the 18,000-seat stadium could host major events such as Independence Day celebrations, Christmas programmes and the Hiri Moale festival. 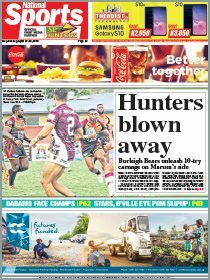 “It will be the home ground for the Vipers (Digicel Cup) when they are playing at home, and the Port Moresby United Football Club. “We are also liaising with the world governing body of rugby union to host regional and international rugby sevens and nines tournaments at the stadium on a regular basis”.